How does one become Missouri's Poet Laureate? Darren finds out and hears some recent works from Boone County writer Walter Bargen. 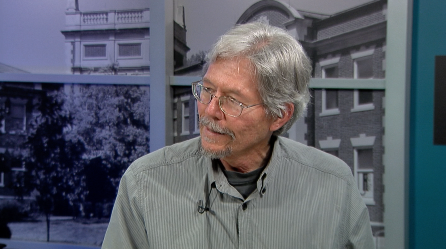 On this week's Thinking Out Loud, KBIA's Darren Hellwege talks with poet Walter Bargen about growing up in the 1960s, former Governor Matt Blunt's poetry choices and what not to say in an interview. This program originally aired on Tuesday, July 14, 2015. 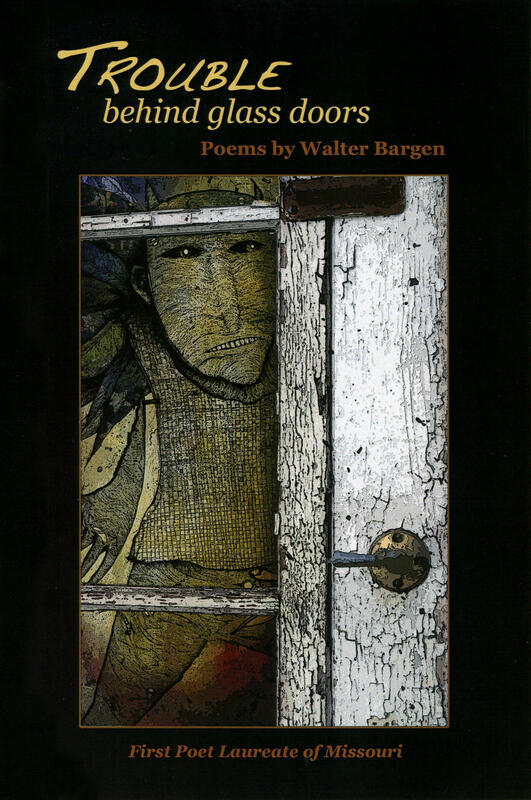 Trouble Behind Glass Doors is a 2013 collection of poetry from Boone County poet Walter Bargen. He was the guest on this week's episode of KBIA's Thinking Out Loud. This decision was contrary to advice from Blunt's advisors, noted Bargen. The governor was adamant that the state create the position. After three months of nominations of which there were 135, four finalists were selected. "I received a phone call to go down for an interview," recalled Bargen. "I was taken aback by his (Blunt's) very first comment: I've just finished re-reading the 'Wasteland' by T.S. Eliot for the third time. Blunt and Bargen had an amiable time in the interview except for an exchange where the then-governor asked 'Is there one reason we should not appoint you as Poet Laureate?' Thinking on his feet, Bargen admitted that he had used the words 'breasts' in a poem. "They chuckled and I tried to dig myself out of that hole and I said 'You know, I did grow up in the '60s. And I felt like I just dug the hole deeper. Why did I say those things?" After a successful criminal background check for Bargen and his wife, he was eventually appointed as the state's first Poet Laureate. I expected I'd get a diploma, a certificate and I'd frame it and put it on my wall and that would be it, but I was overwhelmed by the attention I received from the media... I felt like every breath that I took and every word I said was filmed and in print. I tried to attend to everyone who requested my presence... One of the main activities of the Poet Laureate is to embody poetry. It is really helpful to see someone who presents poetry and makes them want to take poetry home with them. Darren Hellwege: How is it different reading a poem versus having it read to you? Bargen: Poetry remains an oral tradition and it is written with that in mind. When you read a poem, when you see a poem on the page, where the line breaks are, where the punctuation is in the poem, they are all giving you instructions on how to read the poem. It is a composition in words. for the door and down the street. than ever and encircled by stories of concrete. Circularity spinning over, under, around us. Darkness to light to dusty darkness. River and rotunda spiraling outward at once. More information about Walter Bargen is available online. More information about the artist Mike Sleadd whose art graces the covers of several of Bargen's poetry books is here. Listen for new episodes of Thinking Out Loud each Tuesday afternoon at 6:30 on 91.3FM KBIA. Paul Pepper: Poet Laureate Walter Bargen, "Trouble Behind Glass Doors"
Nine high school students from Columbia, Jefferson City, Boonville and Osage Beach competed in this year’s central Missouri regional Poetry Out Loud competition at the Daniel Boone Regional Library last week. Hickman High School student Shakira Cross recited the poem “Grief” by Elizabeth Barrett Browning as she gestures freely with her hands and arms. This week on Thinking Out Loud, we bring you an intimate look into some of Missouri's oldest folk-art traditions: from blacksmithing, to jazz, to traditional song and dance. Listen to this week's Thinking Out Loud, which follows the Missouri Folk Arts Program and some of the traditional folk arts the program supports.